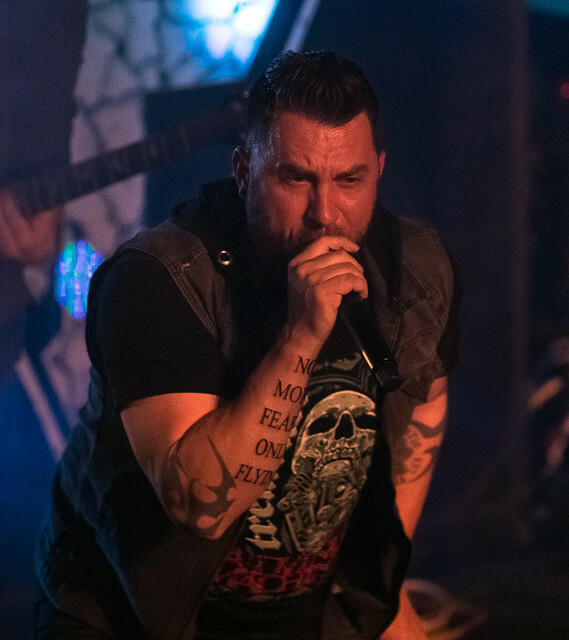 Killakoi Packs Amos’ Southend For An Epic Hometown Show Reviewed by Kris Engelhart on March 19, 2019 . Charlotte area music fans have been waiting for months for their beloved venue, Amos’ Southend, to finally reopen. 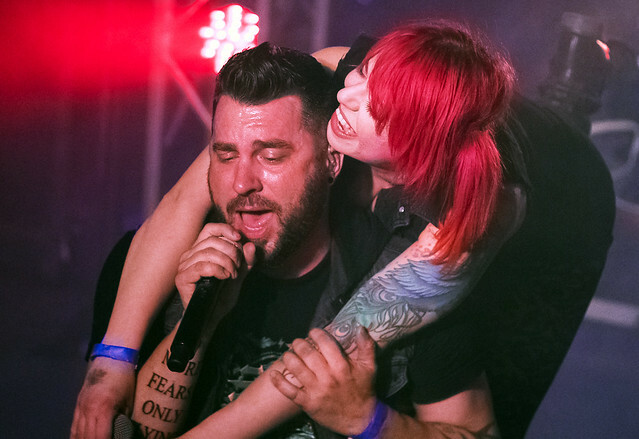 Last week, the wait was over and Friday night was cause for a huge celebration with local bands and tons of fans packing Amos’ for an epic night of music that was part rock concert and part family reunion. In the last few years, far too many independent music clubs have closed their doors. In a short amount of time, we lost Tremont Music Hall, the Chop Shop, and Amos’ Southend. Thankfully, the owner of Amos’ has opened the doors once again in a smaller and remodeled part of the original building. Although the venue has lost some of its size, it hasn’t lost any of its charm. Since parking is a bit of a struggle in the area, I took an Uber to the venue, arriving early amidst torrents of rain and wind. There is a new sign on the side of the building and the music venue is now located behind the Gin Mill restaurant. Patrons can enter on the side, opposite of the old entrance. Inside, the stage is large and open with a bar situated at the back. 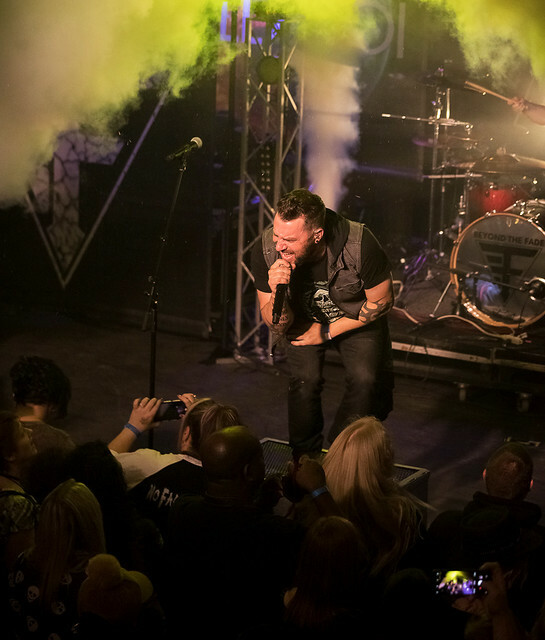 There is still a balcony upstairs and it has been redone with new flooring, tiered layers, and seating areas that provide a nice view of the lower level and stage. For those who may want to avoid the mosh pit crowds, this provides a nice respite from the chaos and a pleasant spot to have a few cocktails and enjoy the show. When the doors opened, it wasn’t long before the venue started filling up and before I knew it I was running into people I hadn’t seen in a long time as everyone seemed to be coming out of the woodwork for the show. It was pretty awesome to see all the familiar faces from the band members and venue staff to all the fans that were eager for this night to finally get started. As everyone was chatting and hugging, it was finally show time with A Light Divided from Winston-Salem taking the stage to get things started. 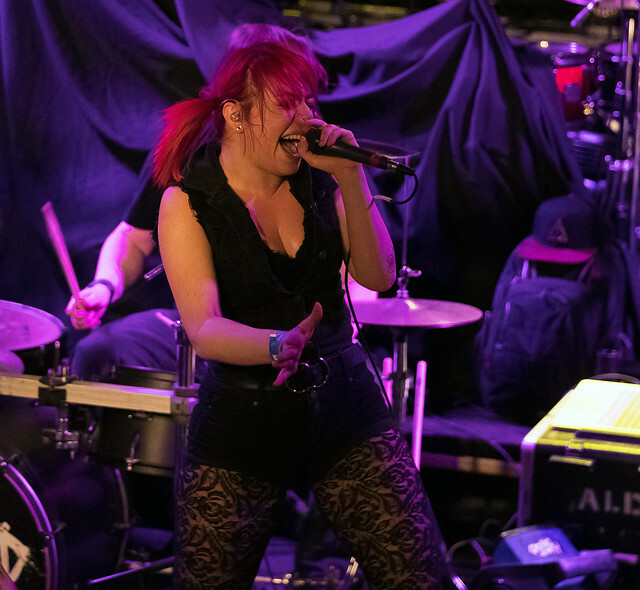 Nobody lights up a stage quite like lead vocalist Jaycee Clark with her vibrant hair and sparkling presence. She was full of smiles as she worked the crowd, urging them to get involved with the performance. The audience reciprocated in fine style, pumping their fists in the air and jumping up and down. 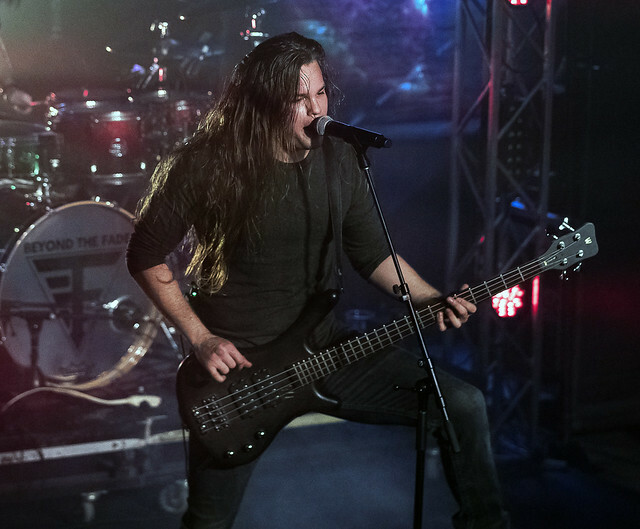 Guitarists Doug Weichbrodt and Colt Crevar lit things up with drummer Adam Smith and bassist Mike Underwood laying down a solid rhythm section. Their set sounded great with Clark’s vocals in top form and my only complaint was that it was over far too soon. I guess I’ll have to get out to another show very soon and I urge you to do the same. This is a band that you’ll definitely want to check out. Up next, was the hard rocking vibe of Testarossa. These guys are all about having a good time and when they come to play, you best prepare for one crazy party. 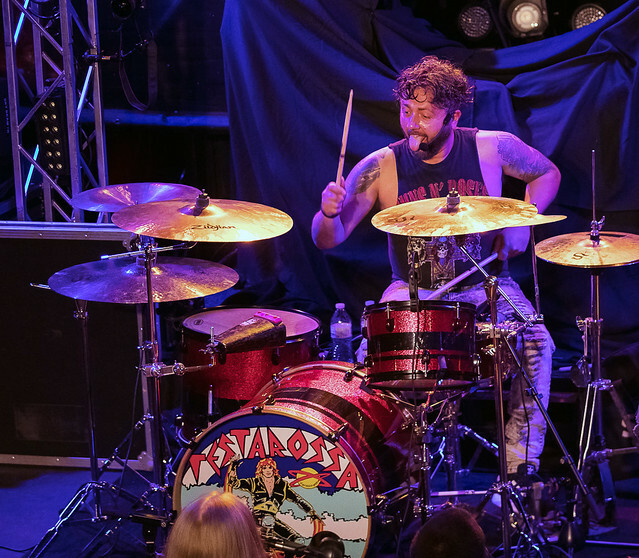 With a bluesy rock sound reminiscent of the eighties hair metal era, Testarossa packs one hell of a punch. 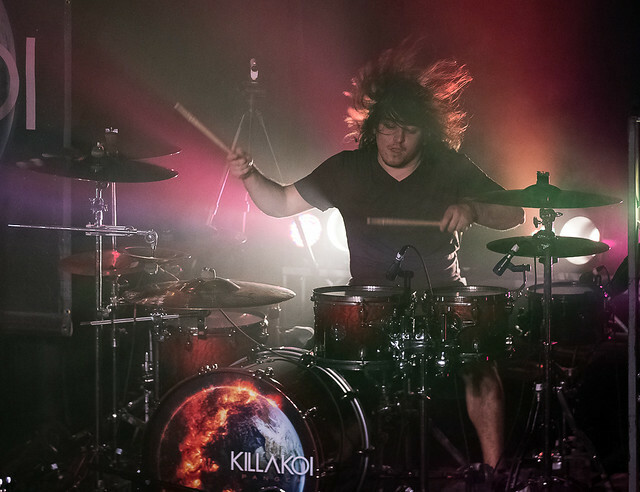 Drummer Buddy Radford is a wildman behind his kit pounding away all night long. 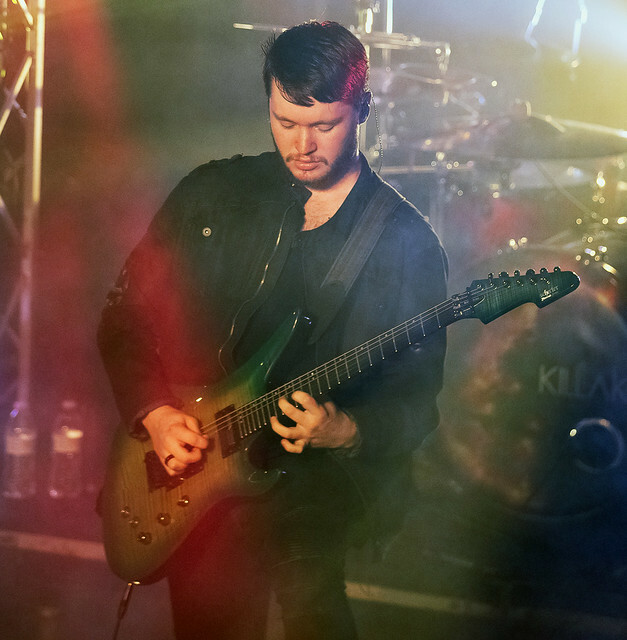 Jordan West is an incredible guitarist and serves the band well with a flash and style that is second to none. 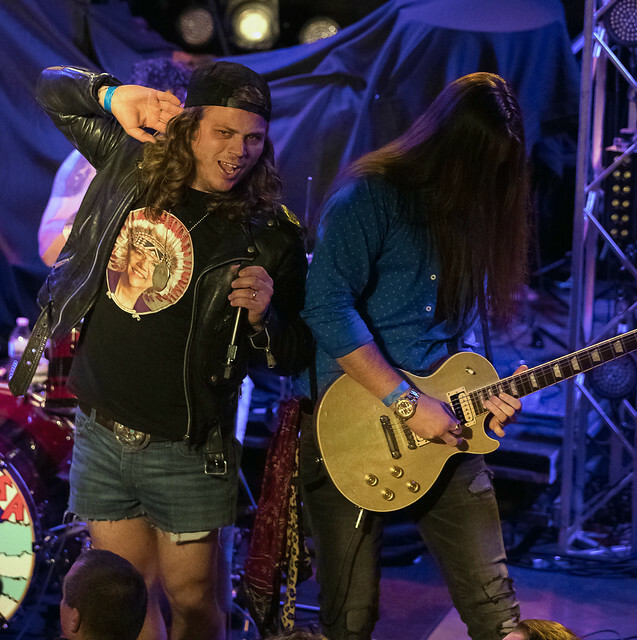 Speaking of flash and style, lead vocalist Colten Bell is a powerhouse of a singer with a scarf laden mic stand that would put Steven Tyler to shame as he spun and boogied all over the stage Axl Rose style. The band has a terrific sound that is full of melodic hooks and soaring choruses that will have you on your feet. 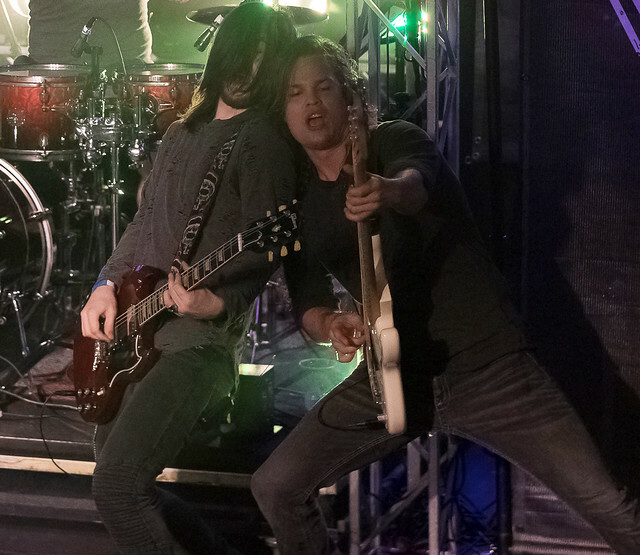 Their latest single “Mother Lover” features the one and only Danny Worsnop of Asking Alexandria who they will also be doing a show with in early April. Stay tuned for lots of exciting things coming up very soon from Testarossa. You won’t want to miss anything. Now that everyone was having a blast, it was time for Beyond The Fade to take things to another level. 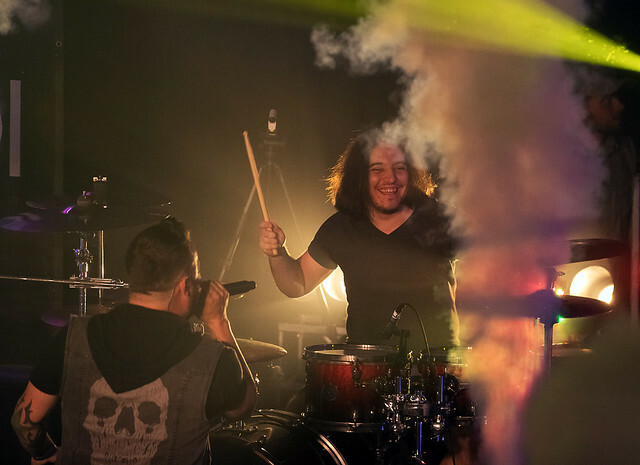 As the smoke plumes shot up and the lights spun, the band came out to a cheering crowd and took things to another level. 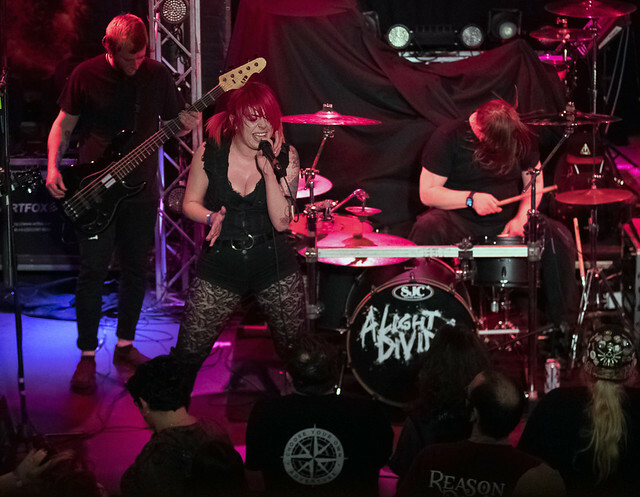 Playing songs from their 2016 album Welcome to the Pain as well as some very cool covers, Beyond The Fade rocked the house from front to back and side to side. 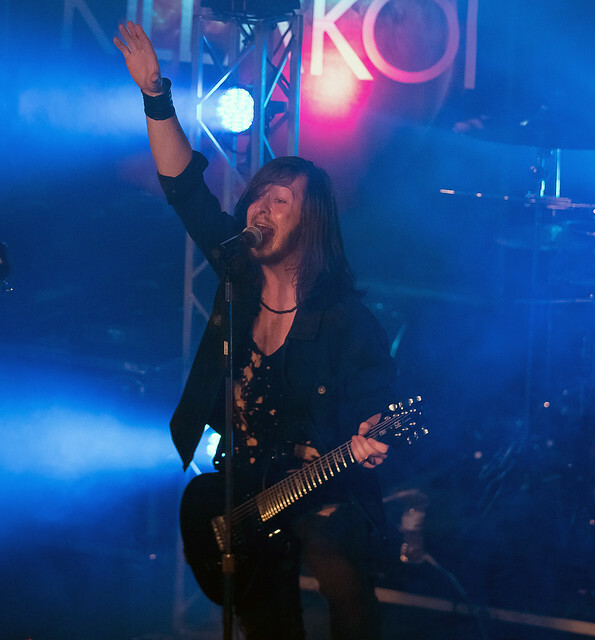 Lead vocalist Neil Jackson sounded amazing as he knelt at the front of the stage to touch hands with the fans up front. Bass guitarist Ethan Gibbons was all over the place, posing and slinging his bass far and wide. 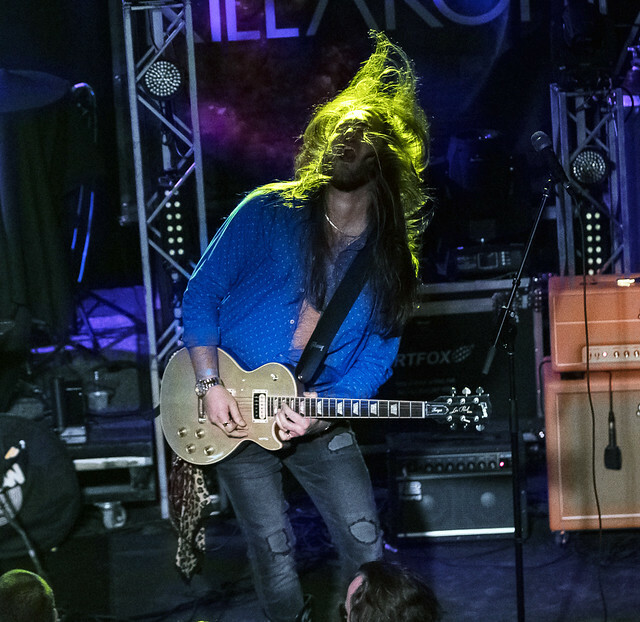 Guitarist Jason Tedder was joined by Jordan Mattacchione of Killakoi who was pulling double duty for a one of a kind twin guitar attack. Even a minor technical difficulty wasn’t going to stop this show as Jordan had an issue with his monitor and had to borrow Neil’s for a bit. They handled it with humor and style and the show went on without any more issues. 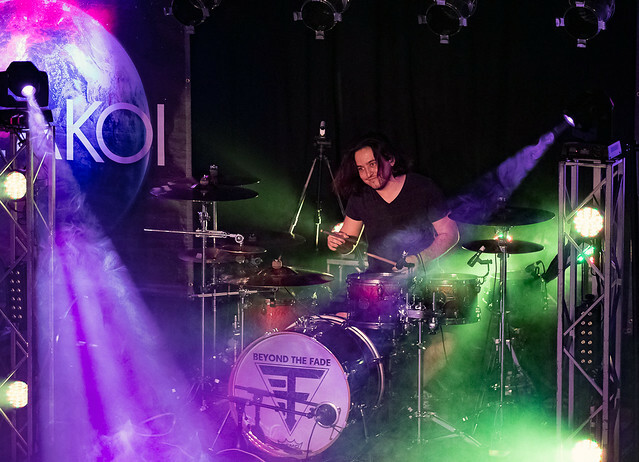 Drummer Michael Russo was also doing back to back sets with both Beyond The Fade and Killakoi, proving he has the stamina and energy to get the job done. The energy was off the charts as Jackson made his way down to the main floor of the venue, hugging family, friends, and fans and posing for selfies with anyone and everyone. It was great to see such interaction with the fans and that’s one of the reasons why Neil is such a favorite on the local scene. Of course, his passionate and powerful vocals may have something to do with as well. 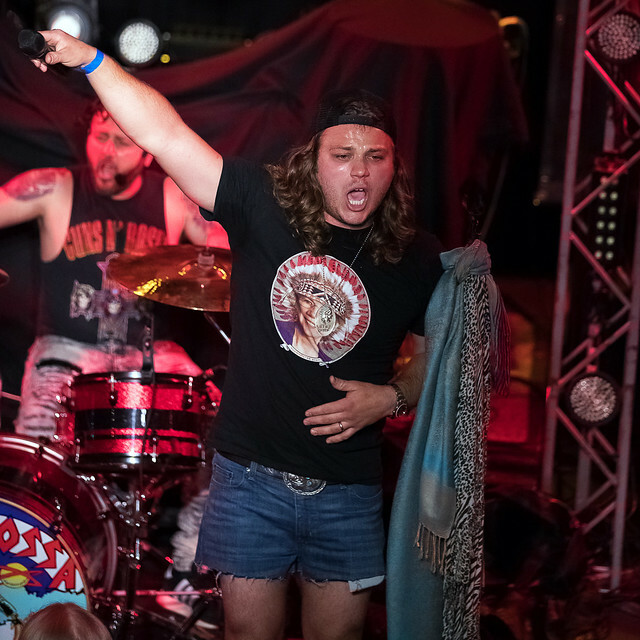 Testarossa frontman Colten Bell joined them for a rousing version of Motley Crue’s “Dr. Feelgood” and Jaycee Clark of A Light Divided also shared the stage for a song. What a way to show support for each other and the local music scene as a whole! Beyond The Fade put on a killer show and nobody wanted to see them leave the stage. After a short break, the main event was about to go down as Killakoi was about to give the fans a night they would never forget. 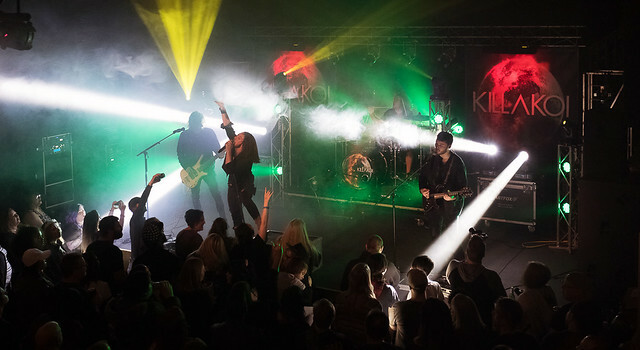 The four young men that walked out on the stage have a special connection to both the fans and each other. 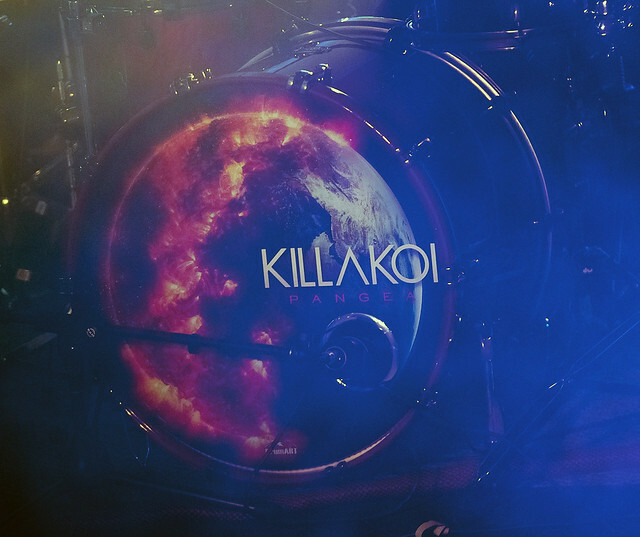 The members of Killakoi are talented and skilled beyond their years and the time they’ve spent honing their craft is paying off in droves. 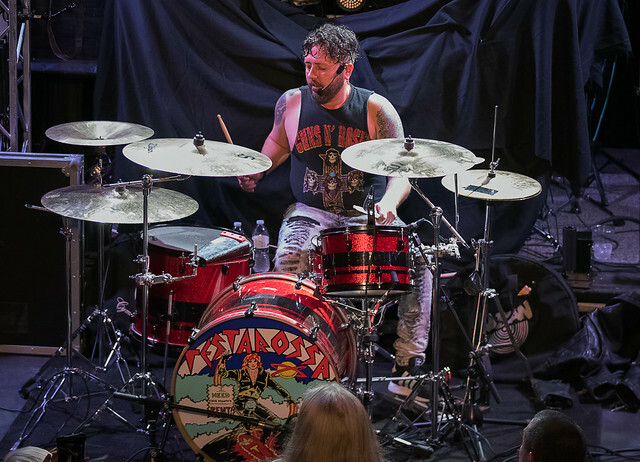 Michael Russo is one of the best drummers around, thundering behind his kit all night long with non-stop energy. 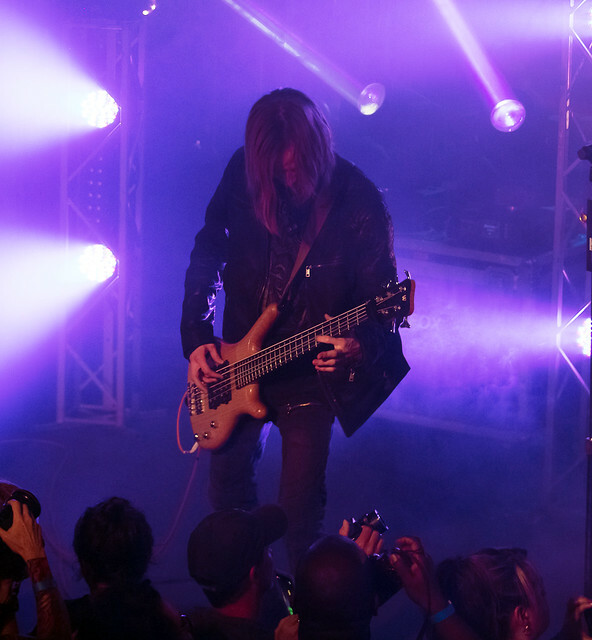 Bass guitarist Sam Ocheltree is really coming into his own and enjoying each and every performance, posing and manhandling his bass like a true rock star. 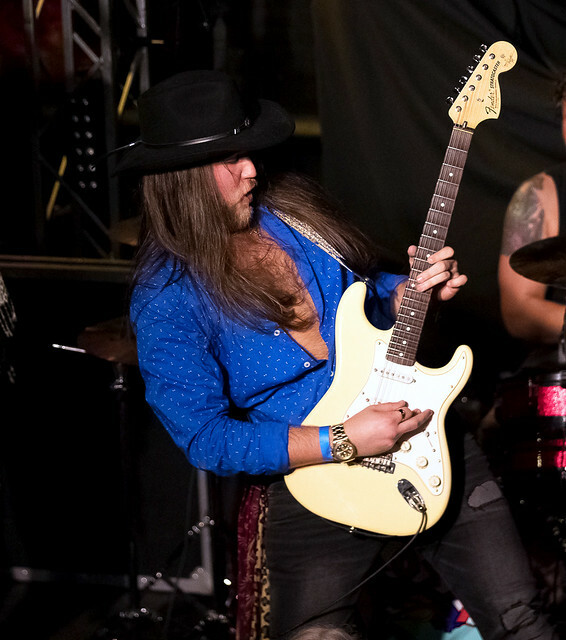 Guitarist Robbie Reimer is well on his way to becoming a true legend. He’s a bit shy and has a more understated style, reminding a lot of an early Eric Clapton but with a distinctly metal edge. 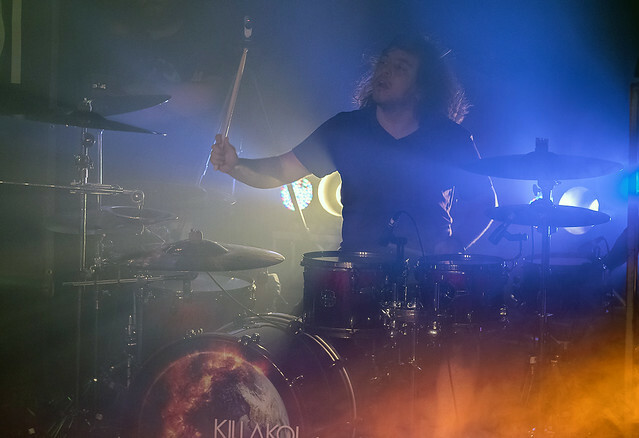 He’s got mad skills and I can’t wait to see what he does as Killakoi continues on the road to success. 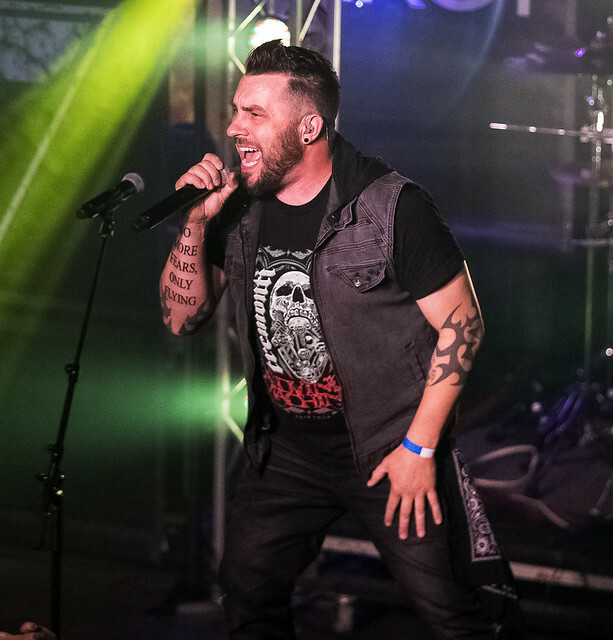 Frontman Jordan Mattachione handles both vocals and guitar and is a natural on the stage, a true rock star in the making. His vocals sounded amazing and he is already a consummate showman, working the crowd like a seasoned pro. The band ran through an amazing set that featured songs from their 2018 debut EP Pangea as well as three new songs and some creative covers. The band has worked with producer Sahaj Ticotin from the band Ra and will be releasing some new songs very soon. The crowd at Amos’ got the chance to hear some firsthand and I have to say they were pretty fantastic. 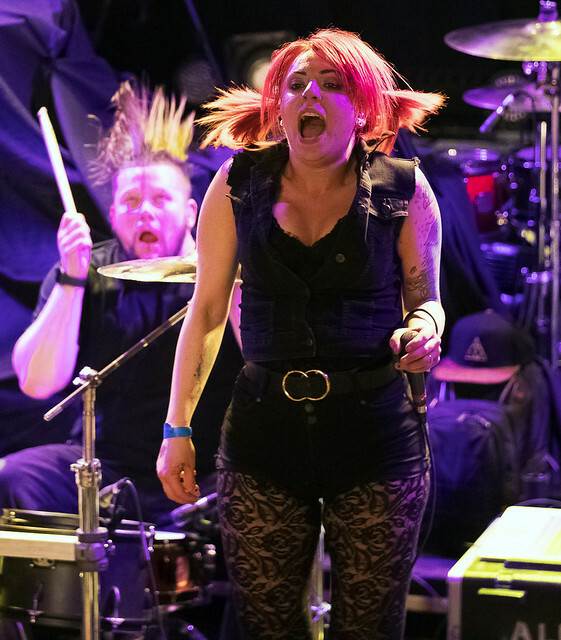 “Wasted” is a pure rocker that had the audience up and moving and “The Fake Me” had a great vibe to it and some thought-provoking lyrics to boot. They did a ridiculously good cover of Disturbed’s “Down with the Sickness” with Mattacchione taking a moment to chuckle and say “I love you mom” just for good measure. 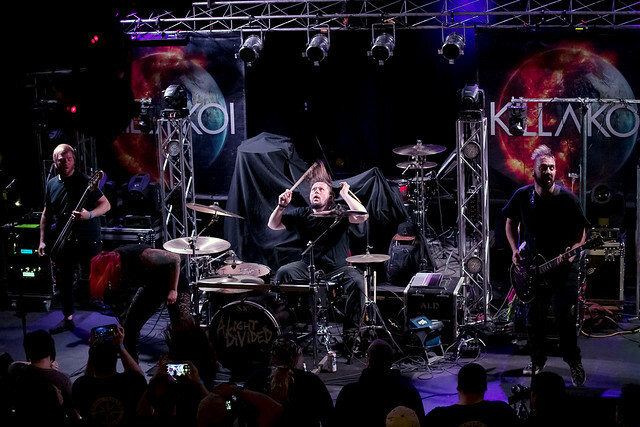 Killakoi put on the show that everyone had been waiting for, giving fans memories to last a lifetime. This was perhaps the most amazing night of music I had the pleasure of attending in a very long time. It was one of those shows where everything seemed to just be as one, from the fans to the bands to the venue making it a night that nobody will ever forget. 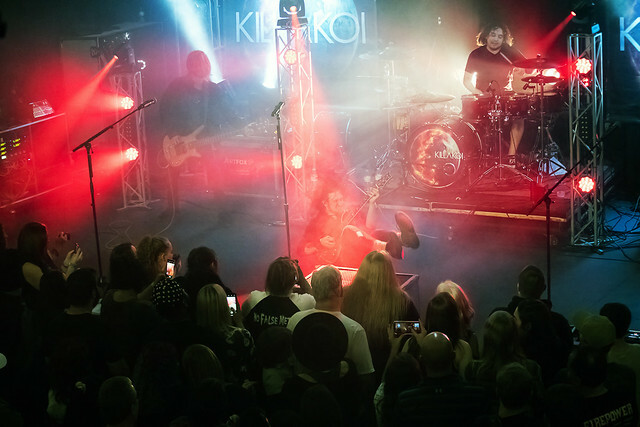 I can totally see Killakoi in the not too distant future, after selling out a huge arena and rocking tens of thousands, reminiscing about that night that they headlined Amos’ way back when. It was that epic. Rock on!